The Church Hall comprised of two separate buildings, this presented many difficulties with the number of entrance points. 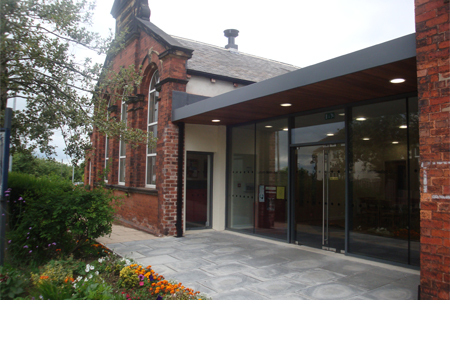 The Church aim was to unite the two buildings with a single entrance point which also presented a welcoming and attractive place for all to gather. The design proposal provides a single storey link as a large shop window to the street making a community place. The building as a whole has been improved through new lighting, heating and redecoration, providing a modern place of worship.